Being a Mom is no easy task. Just this morning alone (Saturday), I woke up at 5 am, balanced the checkbook, paid the bills, realized that I didn’t know when it was our turn for soccer snack, made 8 soccer snacks (LOL), went to a soccer game and went to work. Making time to “take care of yourself” is an almost laughable task – requiring deft scheduling skills. Its been over a year since I’ve had a real haircut (unless you count my husband and his clippers real), I normally color my hair in the outside sink at dusk (or dawn) and my DIY mani-pedis always happen after the 10 o’clock news. But don’t cry for me Angelina (Jolie) – every Sunday, I get roses. After many, many early morning trials, this rose-based facial easily erases a week’s worth of dull skin and stress. I start with Roots Rose Radish Honey Pecan Rose Face Cleanser on damp skin, followed with Peter Thomas Roth Rose Stem Cell Bio-Repair Cleansing Gel – removed with a damp muslin cloth (I like Eve Lom’s). Next, a generous application of Perricone MD Chloro Plasma Mask finished with Fresh Rose Face Mask. This routine takes about 30 minutes from start to finish and instantly refreshes, refines and reboots the skin. All before pancakes. A sleek, limited-edition palette with six shades: three for highlighting and three for contouring. BITE BEAUTY DECONSTRUCTED ROSE LIP GLOSS LIBRARY ($49, sephora.com). A library of 12 pigment-packed, rose-colored glosses, ranging from soft pinks to deep reds. LUSH ROSE BUBBLE BAR ($4.95, lush.com). Blended into the beautiful pink and white swirls of this bar is the fresh lemon and rose scent of our classic Amandopondo Bubble Bar. With fair trade, organic cocoa butter, and a gorgeous glimmer mixed in, Rose will create a luxurious, fluffy, skin-softening soak. PETER THOMAS ROTH ROSE STEM CELL BIO-REPAIR GEL MASK ($45, peterthomasroth.com). Cutting-edge plant biotechnology isolates and replicates five perfect reparative rose stem cells: rose commiphora, desert rose, damas rose, pale rose, and white rose. Includes four nurturing rose extracts: rosa damascena, rosa canina, rose hip seed, and rose water. Helps reduce the look of fine lines and wrinkles. Regenerates, rejuvenates, hydrates, brightens, firms, and tones. Note: I love the Rose Stem Cell Face Cleanser! I’ve been sick for the last three days (stuffy head, headache, body ache – but no fever) and honestly, I don’t have time for it. A few months ago, I picked up a bottle of Oregano Oil from Down to Earth (one of our local health food stores) after seeing it on Dr. Oz. Originally I started using it on my daughter’s eczema, but it supposedly works well on colds as well (and acne, upset stomach, etc.). I’ve been drinking about 4 drops mixed in 6oz. water for the last few days and while its not a miracle cure, it does make me feel better (not recommended for extended use). I think adding it to an old-fashioned steam bowl (add 2 drops to a bowl of hot water and breathe in vapor slowly) worked best on my congestion. Warning – its potent. Diluting 2 drops with 1 tsp. Rose Hip Seed Oil and applying them directly to my blemishes have also been helping them heal faster. This diluted solution also did wonders for my daughter’s eczema. Oregano Oil is very similar to Tea Tree OIl (anti-bacterial, anti-fungal, anti-viral) and even smells very similar. Its not the same oregano that’s used on your pizza! Like all natural remedies, its always best to check with your doctor first. Oregano Oil is also not recommended for pregnant women or those who are nursing. 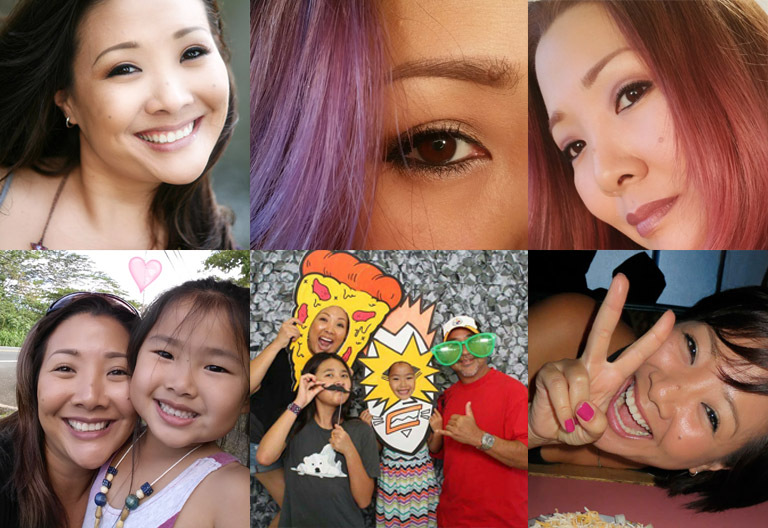 Sometimes I get so wrapped up in who I used to be (surfing makeup artist rocker chick) that I forget to celebrate who I’ve become (event planning blogging rocker chick mom). The fact that there are so many incredibly FABULOUS, fashionable, edgy, unforgettable women that prove that Over the Hill is a land of vast possibilities where confidence and vibrancy runneth over – makes aging something to celebrate, not fear. Check out Paddy (who is in her 80’s) in British Got Talent – I’m half her age and I can’t do that! Gives a whole new meaning to “You Go Girl!”.